Solicitors specialising in personal injury compensation are often asked by the next of kin of someone killed as a result of an accident that was not their fault, to bring a claim for fatal accident compensation against the person responsible for the accident. Those reading this article who have lost a loved one will be only too aware of the uncontrolled grief involved. Even if the person’s death was expected, as in the case of a progressive, incurable illness, the feelings of immense grief and loss are still indescribably hard for those close to the deceased to deal with. When the loss is due to an unexpected event such as a fatal heart attack or an accident, the grief and shock, for those remaining can be almost unbearable to deal with for those left behind. No time to say goodbye, or prepare themselves for the inevitable. Words spoken in anger as a last exchange with the deceased or of those of affection not expressed, can leave the bereaved, with a sense of enormous, lasting regret that it is hard for them to ever recover from. For those families whose loved one has been taken from them as a result of what turns out to be a fatal accident that was someone else’s fault, there is an almost inevitably added emotion of burning anger and resentment against the party that caused or contributed to the fatality. What Compensation Can be Claimed following a Fatal Accident? As most people will be aware, in almost all cases of personal injury caused by another party’s negligence, the more severe the injury caused, the greater the amount of compensation it will be possible to claim for. Put bluntly, the compensation for a broken leg will be of a higher amount than, say, a whiplash injury. Likewise, if the victim of an accident suffers a severe head injury, causing brain damage, then the award of compensation, just for the injury alone, will be significantly higher still. It might seem to follow therefore that if someone suffers the most tragic of any type of accident and dies as a result of their injuries sustained, say, in a car crash, that this should result in an award of damages of the highest amount possible. Sadly, and somewhat controversially, this is not the case. The reason for the controversy surrounding this area of law comes not only because the amount of what is known as the ‘bereavement award’ and which is a fixed amount, seems pitifully low, but also because it is only possible for a fairly limited group amongst those bereaved, to make a claim for it. Certain relatives of the deceased may be entitled to make a claim for this award by virtue of an Act of Parliament called the Fatal Accidents Act 1976 and the right to this comes from section 1A of that Act of parliament. 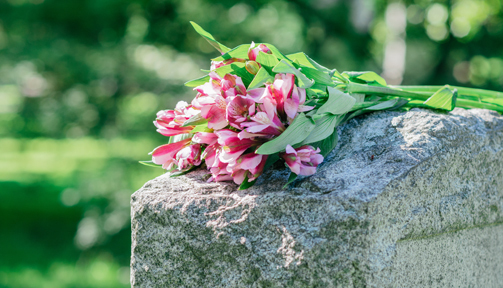 It is often assumed that those entitled to bring a claim following a fatal accident are always able to claim the bereavement award, but as the act outlines, this is not the case. For instance, the children of the deceased may be able to make a dependency claim but are not able to claim the bereavement award. The amount of compensation is a fixed amount, currently £12,980. As previously mentioned, the low amount of compensation available as a bereavement award is a cause of much debate but until parliament makes a decision to decide otherwise, it will remain at a low figure which is only increased by small amounts from time to time. What other types of compensation is it possible to claim for following a fatal accident? Under general rules of law, called common law, there is no other right to claim in this circumstance. This is because when someone dies, their right to claim against the person who did them harm, comes to an end also. This would be a particularly harsh situation for the deceased’s loved ones to find themselves in. Recognising this, fortunately, parliament has intervened to ensure that the estate of the person killed in an accident caused by another person, as well as any dependants of the deceased, are able to bring a claim for compensation. The claim on behalf of the deceased’s estate may be brought by what are known as their personal representatives. If the person had made a will before his or her death, then it will name a person or persons as executors of the estate. The executors become the people entitled to make a claim for compensation on behalf of the beneficiaries. In most cases the beneficiaries are likely to be, or certainly include, the immediate family of the deceased. If the deceased died without making a will, then an administrator can be appointed by the court and that person can bring a claim. The people entitled to share the proceeds of estate following the appointment of an administrator, are governed by law, but generally can be referred to as the next of kin. Bridge McFarland’s probate solicitors can provide further advice on the strict rules as to who is entitled to share in the estate of someone who has died intestate (without making a will). What type of compensation can be claimed by the estate? Funeral expenses and other losses incurred ie actual losses that have had to be or will have to be paid for – the cost of funerals is a not inconsiderable expense and these can be recovered as long as they are reasonable. Most things such as tombstones, wreaths and possibly even food served after the funeral can be included in this part of a claim. Compensation for pain and suffering – another controversial area, like the low fixed amount of the Bereavement Award. Where someone is killed instantaneously, then a claim for this type of compensation will not be possible. As the claim here is for ‘pain and suffering’ the law is that if the person died immediately following the accident, then there will have been no pain and suffering. That can feel like a bitter pill to swallow for their loved ones. Even if the deceased did not die instantly, but was unconscious for a period – hours or days - before their death, then again, the law says that as they were unconscious throughout, they would not have experienced pain and suffering. It is only when a person survives for a period – be that a day, several days or longer, that a claim for the pain and suffering they went through, may succeed. A period of a few days between the accident and a person dying, might mean a few thousand pounds could be successfully claimed, but the compensation would not be significant. If, however there was a period of months then the amount of compensation will be higher as the amount of pain and suffering will be all the more acute. In addition, there may be hospital, nursing or other medical expenses which may be claimed back as part of the compensation claim. It is worth pointing out here that not all fatal accidents come about because of road traffic accidents or accidents at work. Asbestos diseases such as mesothelioma and asbestos lung cancer are classed as fatal accidents (as most people suffering from asbestos disease do so because they were exposed to asbestos at their places of work). From the date an asbestos disease sufferer being diagnosed through to their tragic death, will include a period when they suffer a great amount of pain and distress. A significant amount of compensation would likely be achievable. The longer the period between the event which ultimately causes a person’s death and their passing, the more the amount of compensation is likely to be assessed in the same way as any personal injury claim. What is a Claim for Dependency? We have already made mention of The Fatal Accidents Act 1976. It is this act of parliament that also tells us who the people are, that are entitled to bring a claim for compensation due to the fact that they were financially dependent on the loved one who has died. Although that is quite an extensive list, it is important to state that none of those people mentioned above have an automatic right to claim compensation for dependency. They must prove that they had ‘a reasonable expectation of benefit from the person continuing to live’. For example, if the deceased’s widow depended on her late husband’s income to look after herself, her children and ensure that household expenses were met, she is likely to succeed in a compensation claim for dependency. A child of the deceased who had reached 18 on the other hand and had left home and had become financially self sufficient would not be in a position to make a claim for dependency. Past financial losses e.g. loss of earnings and loss of pension from the date of the accident or incident that caused death through to the date of settlement of the claim for compensation. Future loss of earnings – this can sometimes be quite a complicated calculation. This is for those earnings that it is anticipated the dependents would have benefitted from in the form of financial support, had the fatal accident not happened. Loss of services – this could include such things as seeking compensation for the loss of a parent’s attention to a child’s upbringing. In general, this is a period of three years from the date of death. However, if there is a significant period between the negligent act that caused the person’s death and their passing, this would alter the position and therefore consulting a solicitor as soon as possible after the accident is strongly advisable. As this article has shown, making a claim for compensation following a fatal accident is not always a straightforward procedure. For the distraught next of kin, it is the last thing they need to be added on to the grief, stress and sense of loss that they are already experiencing. On the other hand, to avoid them suffering financial hardship, it is of vital importance that legal advice and assistance is sought out at an early stage following their loved one’s death. This is where ensuring that they get the right legal assistance is of the utmost importance. Bridge McFarland’s personal injury solicitors have considerable experience of bringing claims on behalf of those left bereaved as a result of fatal accidents involving loved ones. We are totally mindful that this represents probably the most difficult time that they will ever go through in their lives and we do our utmost to not only deal with such claims professionally and competently but also ensuring that we do so with acute sensitivity to the situation that our bereaved clients find themselves in. As a result of this not only do we assist those left behind when a fatal accident deprives them of a loved husband, wife or parent, by ensuring that the claim for compensation is dealt with in timely fashion. We at Bridge McFarland also realise that in these tragic situations our clients may often just need someone to talk to about how the events have affected their entitlement to any benefits that they were receiving. Alternatively, they may not be able to cope with having to make all the funeral arrangements themselves, they may want one of our solicitors to represent them at the Coroners Court at any inquest that is held into the circumstances that caused their loved one’s death or they may need some help explaining what they need to do in response to letters or communication they receive from banks, pension scheme providers, the police or other authorities. Sometimes they might just want a shoulder to cry on. We are human beings first and solicitors second. It will often be possible to pursue a fatal accident compensation claim by means of a CFA agreement, often referred to as a No Win, No Fee agreement. If you have lost a loved one as a result of a fatal accident that wasn’t their fault and wish to consider making a claim for compensation what should you do? As an initial step, call Kathryn Hudson at Bridge McFarland solicitors in Grimsby on 01472 311 711. Your confidentiality is assured and there will be no obligation after speaking with Kathryn to pursue the matter further with us, if you decide not to. Kathryn has pursued claims on behalf of many relatives of those sadly involved in fatal accidents. Kathryn is an expert in personal injury compensation claims. She puts her clients at the forefront of all the work that she does. Kathryn will not rush you or put pressure on you at any stage, as the claim progresses. She will give you all the time you need, whilst ensuring that she is working hard behind the scenes to ensure that you get the compensation that you deserve. It will of course not bring your loved one back, but it might make the present and future slightly less painful financially, giving you one less thing to worry about. As an alternative to calling us you can also email on enquiries@bmcf.co.uk and we’ll get back to you, if you would like us to.